A fun little last minute photo shoot for work at Baron's Baking at Berkeley Kitchens. Meeting local vendors like Dan gives me a better appreciation for all the hard work and dedication that's put behind local foods. Photos from the shoot here. Baron's Baking - Tom, the owner, started the company about 2 years ago. He was a expediter in the restaurant business and personally loved baking so he decided to start his own company. He works really hard - 12 hour days, 7 days a week. Muffin Revolution - I'm not paleo, but Marirose and Christy, the founders, create amazing and delicious palo muffins and soon to come granola. They started their business after a local climbing gym, Ironworks, asked them to sell their muffins there. I can't wait for these muffins to be sold at Whole Foods. I can see myself eating them on the go after swim practice. Living Hypothecary - The owner started this company while she was a waitress (and still is) with another co-worker at the restaurant who was a mixologist. She creates great juices, kefirs and vegan milks. She's launching a tumeric almond milk which is soo good. Ruby Roast Coffee - A coffee roastery owned by 2 sweet ladies. They started their business through their pure love of coffee. Nuthouse Granola - These guys started their business after being in the hotel industry. The owner wanted to have a side business and when the hotel requested his granola, he started his company to sell to hotels and other retailers. He has a Orange and Fennel granola which is really unique and delicious! Moller's Bread - Eduardo is a self-taught baker who makes bread from whole grains. He had a Master's in Filmmaking and he always cooked to make money. He hopes to start a read subscription service and I'd sign up! Shrub & Co. - Their ginger shrub is the best shrub I've tried. A deep ginger flavor without any sugary aftertaste. The founders have background in the beverage and farming industry and are a power team! Standard Fare - They make a delicious meyer lemon marmalade! Seriously, it's good. Bread, cheese, and marmelade sampling. One of the best local bread I've tasted. Morell's bread with Standard Fare's Meyer Lemon Marmalade. 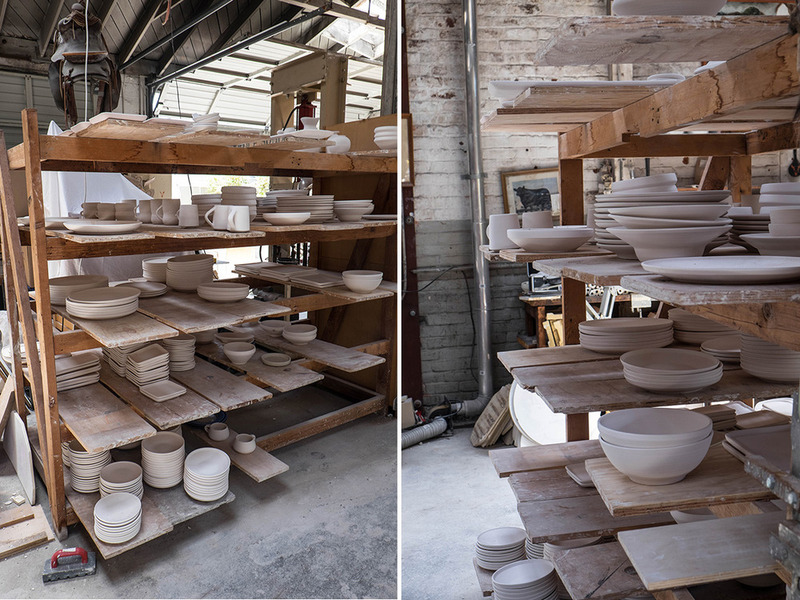 After the visit at The Berkeley Kitchens, we walked a few blocks up to San Pablo to Jered's Pottery. I've driven by this place soo many times and didn't realize it's kind of a famous place. It's like a Heath Ceramics, but a different version and in the East Bay. They use local California Clay to make their pottery and all the pieces were lovely in this place! You should check out Jered's profile for his history - it's pretty cool. Plus, his wife Sarah is the poet laureate of Emeryville! One day I dream of having an entire dining set of Jered's Pottery! Finally! After a month returning from Italy, I've finally uploaded my photos. Check them out here! Now onto Germany photos, then Vietnam and Hong Kong. Stay tuned! One woman I look up to in the work & fashion/lifestyle world - Eva Chen, Lucky Editor-in-Chief! She really stays true to what she says here in the video. I've reached out to her on her blog and Instagram and she's always replied back to me. If you don't follow her on Instagram, you should @EvaChen212. Eva Chen is one of my role models in life!